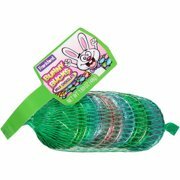 Product - Frankford Bunny Bucks Milk Chocolate Coins, 1.69 Oz. Frankford Bunny Bucks Milk Chocolate Coins, 1.69 Oz. Product - Frankford Bitcoins Chocolate Coin Candy, 1.48 Oz. Frankford Bitcoins Chocolate Coin Candy, 1.48 Oz.